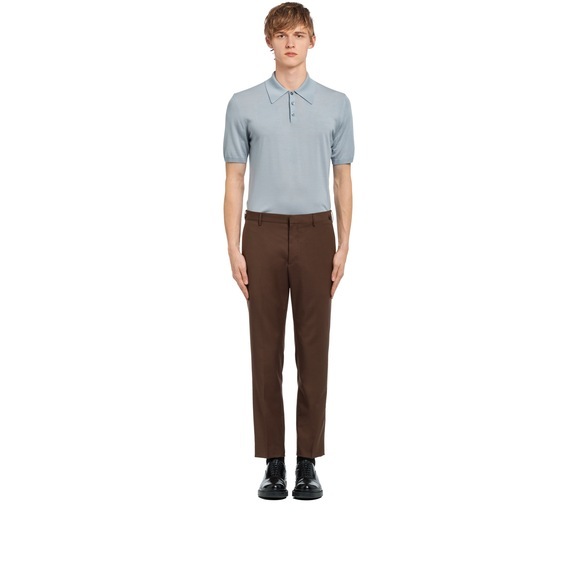 These slim-fit trousers are made of soft mohair wool. 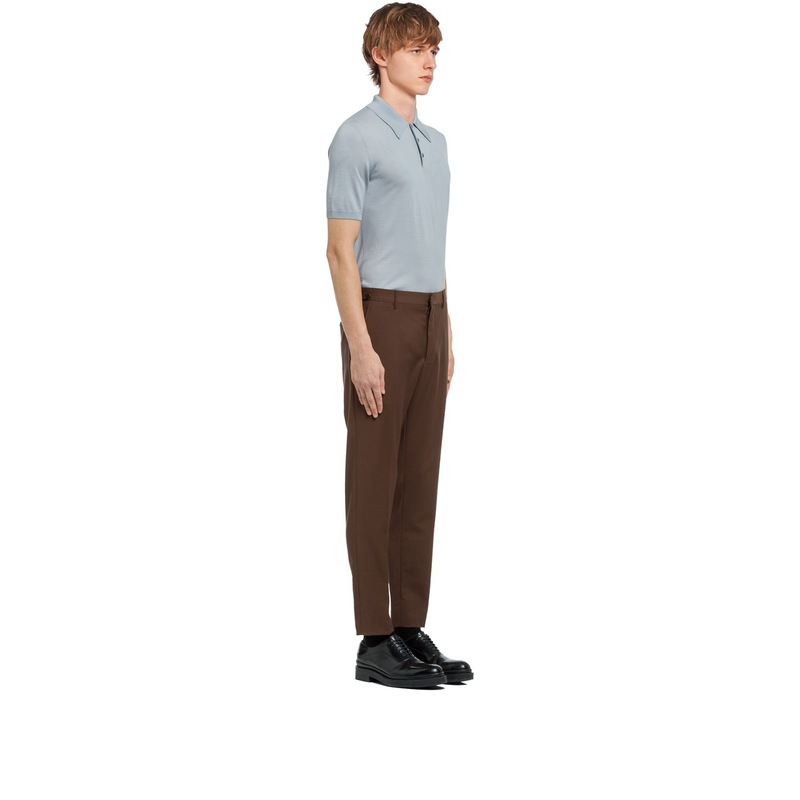 With angled slash pockets and ironed pleat, they have a sophisticated look. 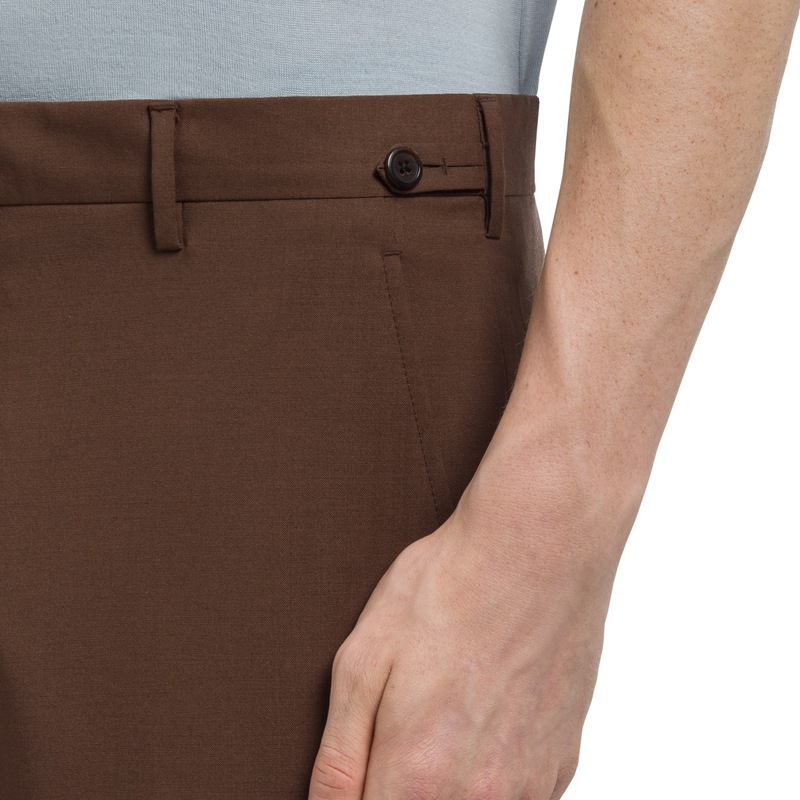 A sartorial label on the waistband decorates the garment.